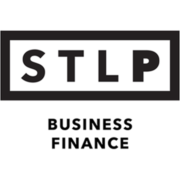 To encourage economic activity and job creation in the region, the Partnership provides specialty loans to businesses in the City of St. Louis and St. Louis County. Utilizing grant funds from federal agencies such as the Department of Housing and Urban Development (HUD), the Economic Development Administration (EDA) and the Community Development Administration (CDA), along with funds from local sources, the Partnership provides low-interest, subordinated loans and can be an essential part of the capital stack to make your business expansion a reality. To learn more about programs that your project may qualify for, please call 314-615-7663 or email info@stlpartnership.com.